Walking along underneath the wooden bridge, I noticed the rocks that were beneath my feet. 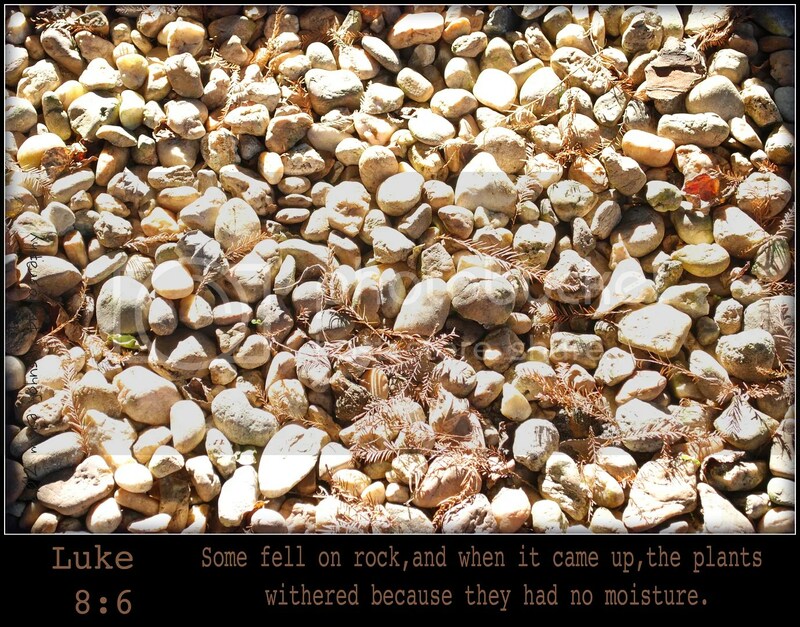 Interspersed among the stones were small pieces of plants–dead plants. Brown and lifeless, they were scattered about in a random array. Were they blown by the wind from a nearby tree or bush, coming to rest on the rocks? Did they spring up between the rocks, only to die from lack of water? I want my heart to be like good soil, yielding the crop that God desires. I hope this article write that I will always be concerned about your!